Get ready — Mike ordered a fancy new headset so he’ll sound pristine on our two upcoming webinars! May 21st, Noon-1pm, CDT. Mike will be joining some of the top “xAPIners” on a panel hosted by the Brandon Hall Group. They’ll be talking about why xAPI exists, how it’s different from older standards, the current evolution of xAPI, who is using it and how, and the future of xAPI. You can register for this webinar here. June 11th, 1:00p-2:00pm, CDT. Mike will be presenting “Rethinking Learning Systems with the Experience API”. 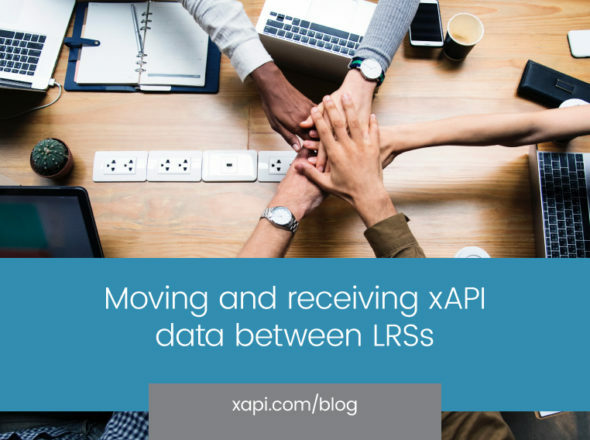 Join in and learn about Learning Record Stores, Training Delivery Systems (that’s a new one), the role of the LMS in a xAPI world, and a lot more. You can register for this webinar here. Come and join in if you can, and if you can’t, we’ll be posting the recordings, slides, and the answers to your questions just like we always do.